Spark up a genuine conversation with potential clients when you use the Chroma as an icebreaker at your next promotional event! This LED flashlight keyring features three LED bulbs, and batteries are also included. It's available in a variety of product colors, perfect for pairing with your company name and logo. Add your custom imprint using laser engraving to attract the attention you want while giving them a way to light their path at the same time. 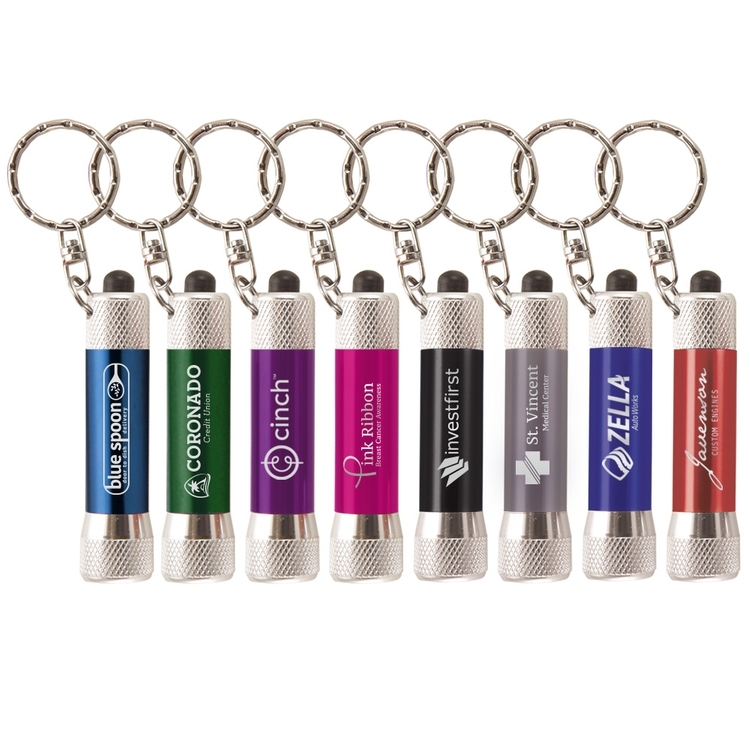 Night or day, your marketing keychain will be there in their times of need! Imprint Area: 1.26" x .31"
3 lines, 28 characters/spaces per line. 2.68"(L) x .56"(D) Circumference: 1.76"